Ukulele is a Hawaiian instrument that belongs to the category of lute family. It generally consists of four nylon or gut strings. The instrument originated in the 19th century in the form of a Hawaiian adaptation of a Portuguese machete, which was a small guitar like instrument gifted to Hawaiians by the Portuguese. The instrument belonged to Madeira and Azores. Later it gained popularity in USA and during the 20th century it spread internationally. Israel Kamakawiwo’ole: Israel was an extremely popular musician who had a humble beginning from his homeland. He was the man who advocated his political and social views through music. He was also one of the first world famous musicians to be seen wielding a ukulele. Taylor Swift: Taylor Swift has been killing it over the past few year with her music seeing a significant change year after year if not month after month. But count on this young and pretty lady to strum a few strings before she leaves, be it on a guitar or a banjo or even a ukulele. George Harrison: The guitarist of The Beatles, George Harrison was an ardent fan of Hawaiian music and was heavily influenced it. He combined ukulele chords with Indian melodies to create unique ideas a style of playing. Roy Smeck: Smeck played a lot of instruments but he was mostly known for his ukulele skills. He wasn’t a great singer but alternately he honed his skills in the instrument department. He could play the ukulele with his teeth, behind his back and with a violin bow. 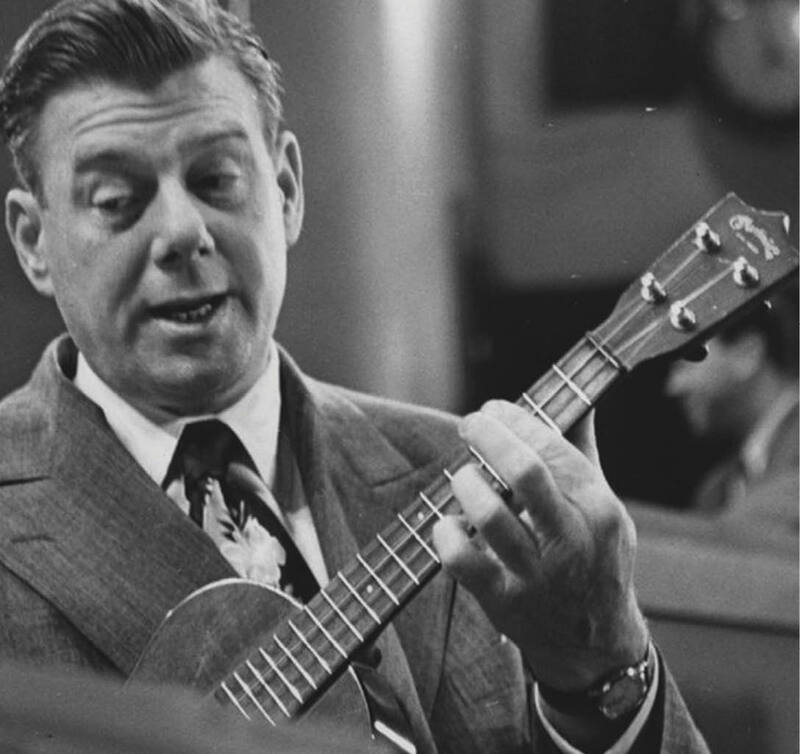 Arthur Godfrey: This man is a single handed warrior who was responsible for initiating the great wave of the remarkable instrument ukulele in 1950s. Wearing a bright Hawaiian shirt and strumming his ukulele, he helped sell millions of his signature inexpensive plastic ukuleles. Jake Shimabukoro: This man is an amazing American music composer who actually got famous for playing his ukulele on a youtube video. Shimabukoro is known to combine rock, blues, jazz and so many other genres which makes his music extraordinary. 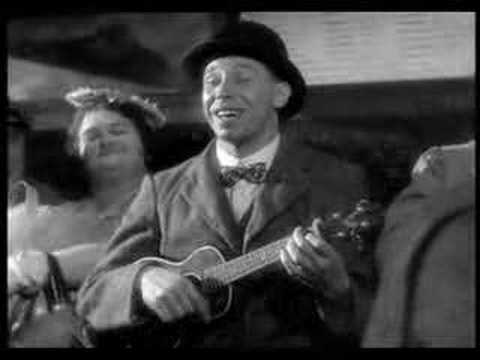 George Formby: Formby was the reason why the ukulele received recognition in United Kingdom in the 1930s and 1940s. He would often perform his signature banjolele. He won hearts and a lot of respect on stage for his technical skill and playful lyrics. John Lennon and George Harrison are known to have been inspired by him. 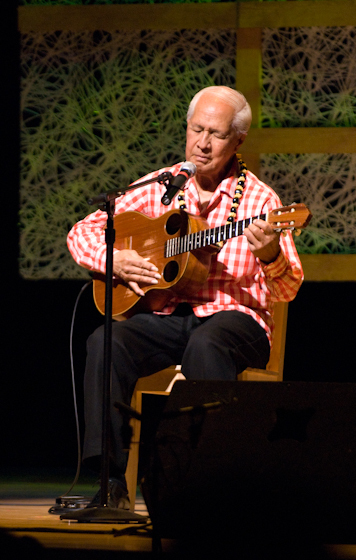 Eddie Kamae: When Eddie Kamae played for the Sons of Hawaii he made use of the ukulele as a separate and standalone instrument. He could play the melody and rhythm simultaneously. Eddie Vedder: Eddie Vedder played a variety of instruments during his music career, but his specialty was always the ukulele. He got a special thrill from playing it. In the year 2011, he even released an album titled Ukulele songs.